Today we are going to discuss about pediatric dental assistant jobs and other things related to it, including how to find one in your area. Before that, let’s have a quick look on important aspects of this job, including the requirements, the duties, and training. 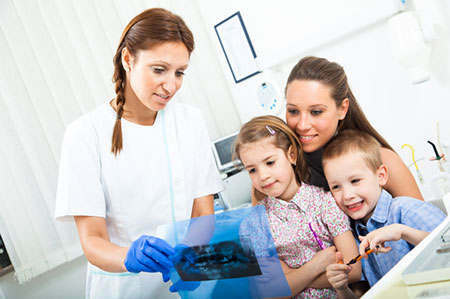 Before having a career as a pediatric dental assistant, there are some requirements that should be fulfilled. In United States, there are several different requirements that depend on the state you’re looking. Usually, you will need a diploma degree, along with some kind of certification of training. In some states, you should also fulfill the registration requirements. The certification of training can be obtained via accredited community colleges. Through there you should involve in a 6 month to 1 year training program. There is another way of getting the certification (such as on the job training), but it requires at least two years of experience before you are allowed to participate in certification test. During the training, you will learn how to assist pediatric dentist to work efficiently, such as greeting and making the children feel comfortable, sterilization of dentistry tools, cleaning up examination room, and some administrative work. Other non-official requirements as a pediatric dental assistant are patience and love for the children. It may not be the main requirement, but it will surely help you during your pediatric dental assistant job. The recent data from Bureau of Labor Statistics of United States stated that the salary of a pediatric dental assistant varied in each state. According to recent data, the annual salary ranges from $23,080 to $47,420. The median annual salary is set at $34,500. The growth of the annual wage is promising, thanks to the growing number of people who want preventive service for their tooth, making the growth rate of dental assistant job that exceeds the average growth rate in a career. According to statistics, several cities offer the best wage for a dental assistant. The city with the highest annual wage is Manchester, NH. Next we have San Francisco (CA), Barnstable Town (MA), Anchorage (AK), and Minneapolis (MN). All of these cities offer a significantly better wages compared to the median of annual salary. The lowest one offers $10,330 more annually, with the highest one offers $12,400 more annually. The average of annual salary for pediatric dental assistant job in these five cities is $45,430. Posted by mimin on March 30, 2019 at 5:40 am under Dental. Comments Off on Pediatric Dental Assistant Jobs with Highest Salaries.